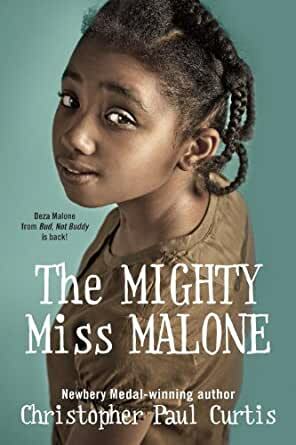 The Mighty Miss Malone - Kindle edition by Christopher Paul Curtis. Children Kindle eBooks @ Amazon.com. 3.0 out of 5 stars5stars+ for the content, 1 star for the physical book. My older daughter loved this book but 2yrs later we couldn't find it and ordered another book for my younger child from Amazon for a class assignment and were very disappointed. The pages and chapters of the new book are Out of order and ALL OVER THE PLACE! My daughter read to chapter 6 only to discover that it jumped from page 56 to 217! We used her borrowed class copy to compare the books and there are numerous other places where it jumps around as well. Make sure to check your copy! In reading the book, The Mighty Miss Malone, the author shares the story of a family unit that never falters no matter the circumstances. Family comes first. Written during the Great Depression, the story unfolds of the trying times of the black community in a tough, Gary, IN. True to life are the gangs, the rotten teeth because of lack of funds to go to the dentist, and the encouragement from a wonderful teacher. While in Flint, MI for a time, character, Deza realizes that she gets a C+ for her paper not because she did badly, but because the teacher does not give grades higher than a C to a black child. I was intrigued that the history and portrayal of the Smelling vs. Lewis boxing fight. My in-laws were married on June 19, 1936 and they often spoke of this fight. I enjoyed the background history of the fight in the back of the book. This book is a true picture of the plight during the Great Depression yet the message was strong that no matter what, family stays together even if Jimmie is absent from the fold. This book is a must for purchase during 2012 and a great contribution to a church library. 5.0 out of 5 starsLove this author’s books! I’ve been a fan since “Bud, Not Buddy” was first published, and I used it as a read-aloud in my 4th grade classroom every year. The author has a way of making you feel you’re right in the scene with the characters! 5.0 out of 5 starsC. P. Curtis is excellent! Each year, I read a novel to my children (in order to address a wide age range). This is another excellent addition to my children's library! The book gives an accurate description of the experience of many Black American families in the Depression era. 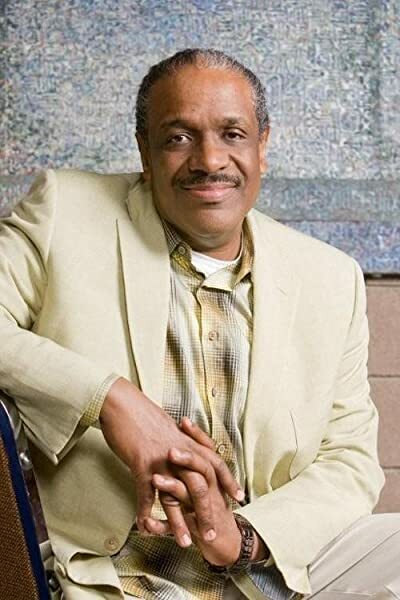 Christopher Paul Curtis tells the story convincingly from the perspective of a 10-year-old girl. Excellent! We quote the book often. Read it; be sensitive to it; laugh often; be more enriched. Loved this book, even though it is considered a children's book. Great story and true to the era of the great depression. Mr. Curtis has a wonderful way of painting pictures with his words! Set in the Great Depression, The Mighty Miss Malone raises the questions of what it means to be a family and how to keep hope alive when it seems impossible. Deza Malone is a small girl with big dreams, and she must learn to face a lot of hardships when her family is separated as her father goes out to find work. Ultimately, her resilience and creativity will serve her well as she grows up way before her time. How Beautiful this story was seen through a child's eyes!!! Sometimes we forget the person when we are trying to teach them how to live and how to treat others..... LOVED this book!! !